Reiki training is a calling for many and seems to find you at just the right time. Reiki is best learned through practice, not reading books or the internet. Once you receive an initiation to Reiki, it’s with you for life. It’s a wonderful gift for Spiritual development, self-healing, or to assist others. My training follows the curriculum of the International Center for Reiki Training (ICRT), putting a strong emphasis on comprehensive and quality education. 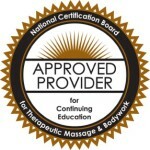 I am able to offer Continuing Education contact hours for Nurses, Massage Therapists, and other Healthcare Professionals. Reiki Training is one of the best gifts I’ve ever given to myself. It started as a journey to support one of my pets in her healing, but has become so much more. Reiki has been the catalyst for my own journey of transformation. It’s given me the courage to leave a career that made me unhappy and miserable. It’s healed old pains. It’s helped me want to be the best “Me” possible. I’ve replaced destructive habits with healthy ones. I’ve lost weight. I’m less stressed. I’ve become more spiritual. I’m more deeply connected to the Earth. I’m living an extraordinary life! When my Reiki journey began, I never intended to teach. I was simply looking for tools to add to my own healing toolbox. I received more than I ever imagined. The positive changes I’ve seen in my own life guided me to share this system with others. I continue to invest in training from other teachers around the world. I believe this deepens my bond with the Reiki energy. It also gives me additional knowledge, techniques and tools to offer those who choose to study with me. Small class size and an informal setting provide for personalized instruction and the chance to ask questions. We also have hours of hands-on practice to ensure proficiency. Ongoing support is included as the bond between teacher and student is a deep and personal one to me. I don’t want to see you for training then never hear from you again. 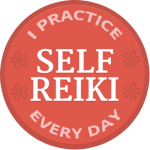 NEW for 2018: YOUR REIKI CLASS – YOUR WAY! 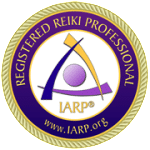 Customized Reiki Training and one-on-one class options. Please contact Bryce to discuss these very special opportunities. Perfect for people with busy schedules, those who prefer one-on-one training, or those who want to create their very own Reiki class for one person, a couple, family or group. Interested in receiving Holy Fire Reiki training but no teacher in your area? I’m a Licensed Reiki Master Teacher with the International Center for Reiki Training, an Usui Reiki Ryoho Master and Registered Holy Fire Karuna Reiki Master Teacher. I’d love to arrange a class and travel to your location! Training fees are payable by credit card, cash, check or Paypal. You’re registered for training when payment is received. The payment is non-refundable, but can be transferred to a future training date or another offering within 12 months. Please contact me if you have any questions, need to split payment, would like to establish a payment plan, or need additional assistance. Our clients are happy to speak for themselves about their experiences with Reiki treatments and our Reiki trainings as well. What a POSITIVE, life changing class! Bryce is an exceptional, well-versed teacher! I feel so blessed to have met her and attended her class.